Disclosure: We received a VIZIO M50-D1 SmartCast Home Theater Display from VIZIO for free, however the opinions expressed are our own. It’s no secret that the way people consume television has pretty drastically changed over the past few years. While cable TV is still the standard, it’s often supplemented by streaming programming from services like Netflix, Hulu, and countless other sources. And that can get complicated, requiring you to use something like a Roku, Apple TV, or laptop to stream that content to your TV. Countless smart TV makers have attempted to bridge this gap by offering built-in apps for popular streaming services, and while they work to some extent, they definitely leave something to be desired. 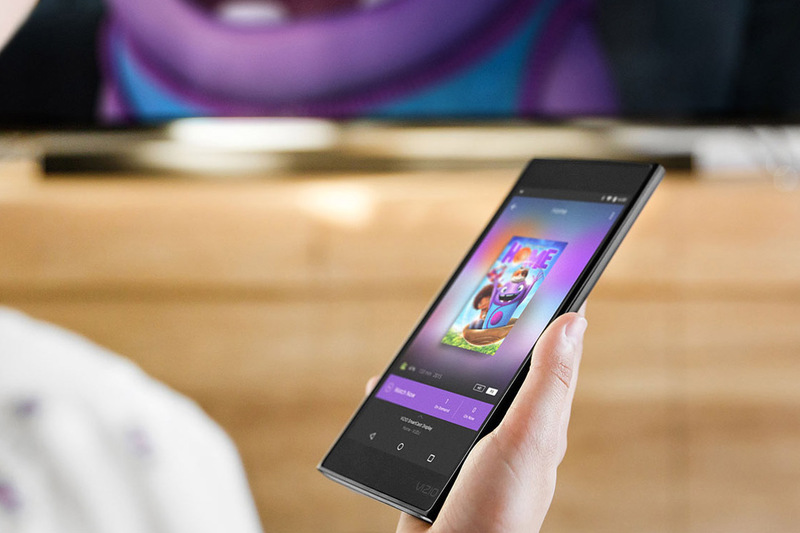 VIZIO took an entirely different route with their SmartCast M-Series Home Theater Display collection, building Google Cast support into each set, which allows you to stream your favorite content from 1000+ apps right to the big screen using the included 6″ Android Tablet Remote! 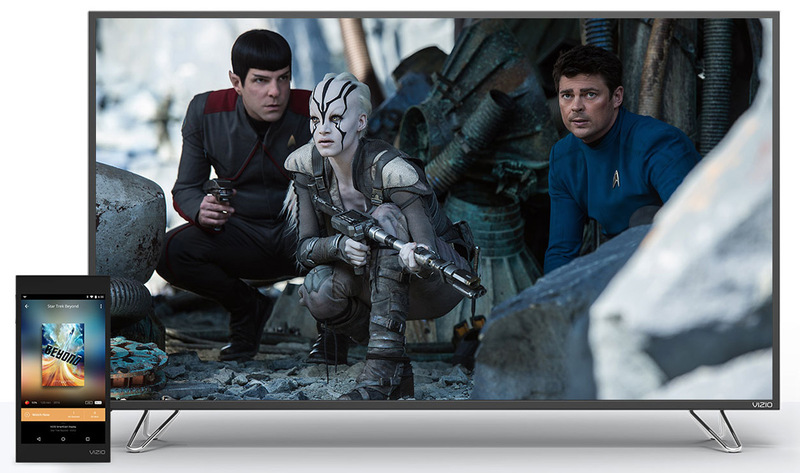 In addition, these models (starting at 50″ and going up to 80″) feature 4K Ultra HD resolution, High Dynamic Range w/ Dolby Vision support, and full-array LED backlighting with up to 64 active LED zones. We tested out the 50″ VIZIO M50-D1 SmartCast Home Theater Display, which is an absolute steal at $699! How VIZIO is able to offer such a feature-rich set for such a low price is beyond me, but I’m not complaining! The first thing I noticed while unpacking the set was just how light it was (31 lbs) compared to my old set, due to the fact that it doesn’t have a TV tuner. Seeing as how most people have a cable or satellite set-top box these days, it shouldn’t be an issue for most. But a separate tuner adapter can be purchased if need be. 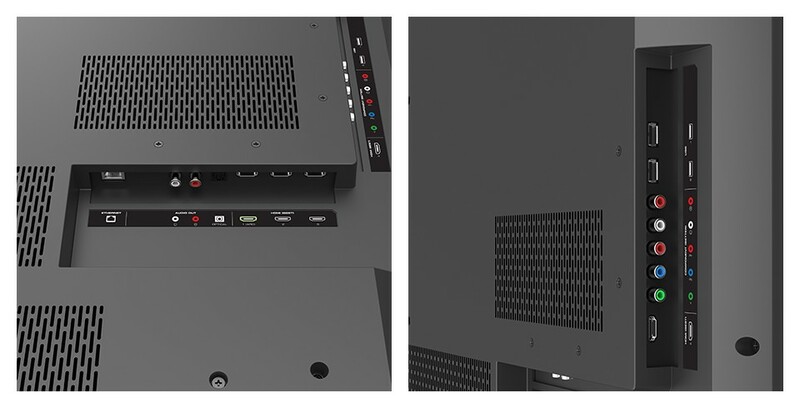 The VIZIO M50-D1 comes with four HDMI ports to connect your cable or satellite box, Blu-ray player, gaming consoles and more (along with a set of component inputs for older devices), but this TV was really designed with streaming in mind, and it’s incredibly easy to use. 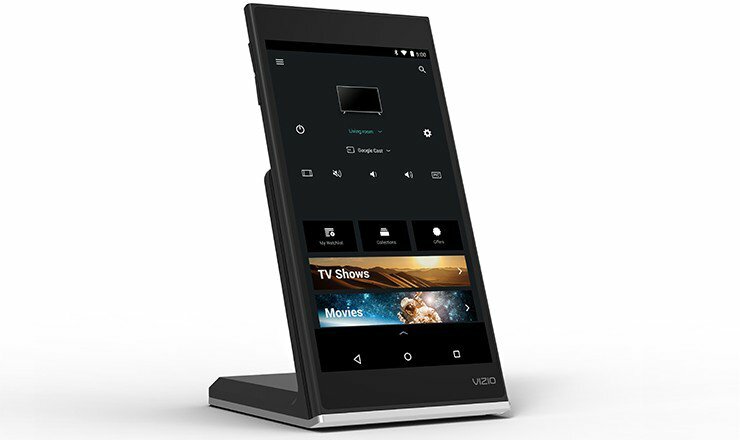 You see, all VIZIO M-Series sets come with a 6″ Android tablet remote along with a wireless charging dock. The tablet comes loaded with the VIZIO SmartCast app and acts as the TV remote, allowing you to power on the TV, adjust the volume, switch inputs, etc. What’s more, the app allows you to cast TV shows, movies, and music from over a thousand apps (like Netflix, Vudu and HBO Now) with a simple tap of the “Cast” button. It’s a total game changer, and even my technophobe wife was able to get the hang of it within a few minutes. 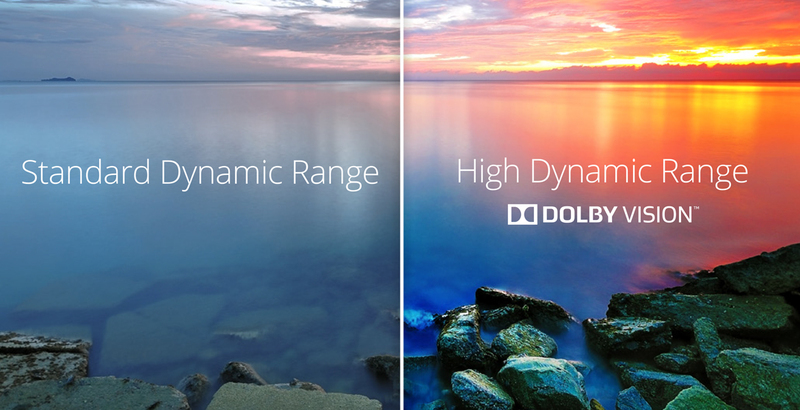 VIZIO’s M-Series also raises the bar on image quality with advanced picture technologies such as Ultra HD and High Dynamic Range with Dolby Vision support, which deliver a word of new depth and contrast with the enriched brightness and vibrancy. The VIZIO M50-D1 also boasts 32 active LED zones which dynamically adjust your screen’s backlight to adapt to the content on-screen to deliver incomparable contrast levels, sharper details and the deepest, purest black levels. We streamed Batman v Superman: Dawn of Justice in Ultra HD through VUDU last weekend, and the picture quality was just unbelievable! We also tested out a few other Blu-ray and DVD discs and they looked great as well, with the TV handling scaling really well. 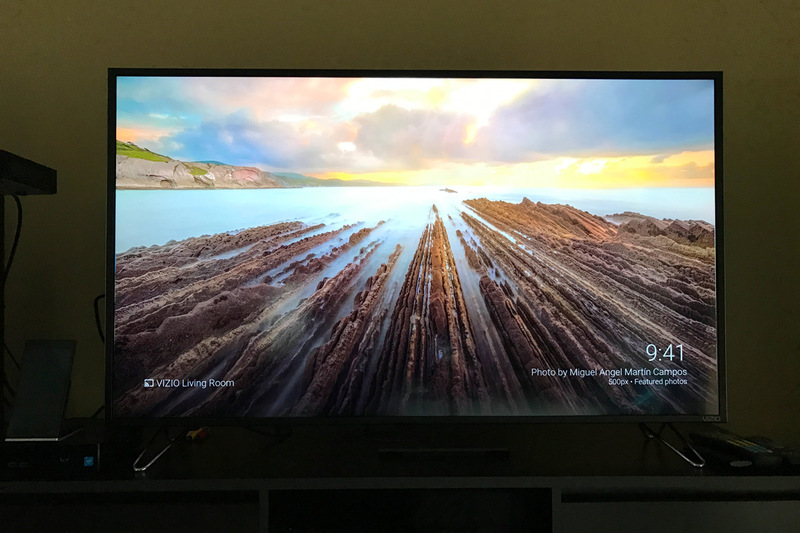 Overall, we were really impressed with the VIZIO M50-D1 SmartCast TV and highly recommend it to anyone who’s ready to experience incredible picture quality with 4K Ultra HD and High Dynamic Range, along with a limitless amount of content.. All for less than $700! To learn more about the VIZIO M50-D1 Smartcast Home Theater Display, visit www.VIZIO.com.